I'm just back from a wonderful trip to the Drakensberg. 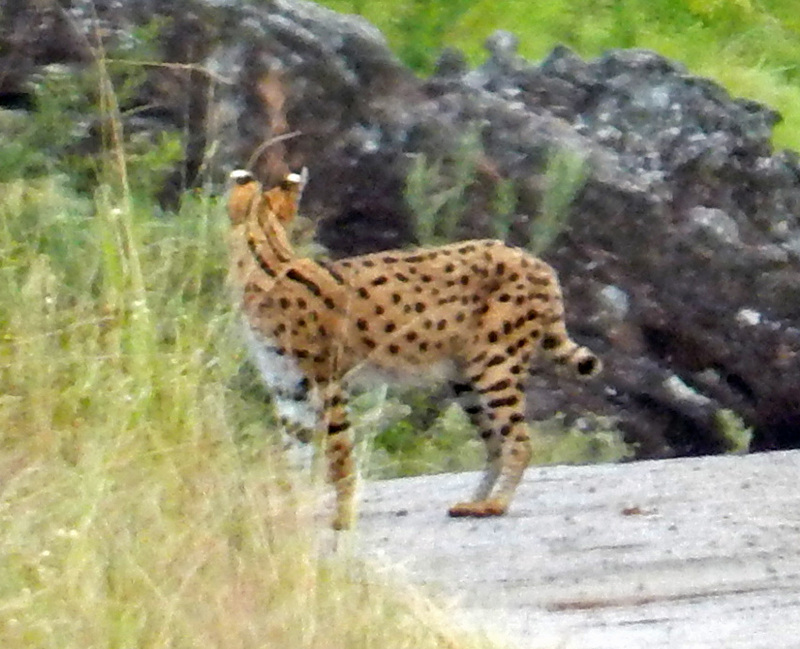 The scenery was amazing, but the highlight of the trip was seeing my first Serval. Servals like to live near water sources with adjacent high grassland, reed beds or other dense vegetation such as forest edges, etc. They have a fondness for Vlei Rats, but also pray on other small mammals, birds and reptiles. They will even eat insects. Servals are mainly active at night, but are also sometimes seen during dawn/dust and on cooler days. This sighting was on a cool overcast and rainy day. I recently took the plunge into citizen science (after a bit of a jaded past) and I must say I've been enjoying it greatly (well for the most part at least). The platform provided by iNaturalist is really amazing. Since I got back I've been busy importing the photos into WildLog and then uploading the observations to iNaturalist. You can go to the iNaturalist site to see all my observations from the trip.